I have very little experience at most of what it takes to turn a bus into a livable space. We're so early in our conversion that I don't feel comfortable offering solutions...even opinions for that matter. However, maintenance painting is something I do know a little about, so here goes. I feed my kids and pay my bills by working on tugboats. Tugboats are generally steel & work in saltwater. Preventative maintenance is part of the job. Most in the industry supply their paint lockers with Corroseal. As a young sailor I once was chastised & sent back to the marine supply store because I came back to the boat with a case of Ospho. "Do you want to paint the stern again next hitch or next year?" Without question, prep is the most important phase of the paint process. Dealing with rust is paramount if you want the bus to last. There's a reason rust is sometimes referred to as cancer. Dang I hate painting boats...in fact, painting and crawling beneath the double bottoms of barges is what motivated me to get in the wheelhouse as fast as I could. Finding a bus with little or no rust was a HUGE priority of mine. We have a tiny bit of surface rust on the inside, around the wheel wells. Nothing a wire wheel wont clean up, but I'm still going to Corroseal them. There are many instances where using the highest quality products are not as important to me, but this one is. Keeping with the fishing metaphor, you just opened a can of worms. The good news, is they're all hard-working but opinionated worms. Can of worms? Seems to be a common question/topic on here, just figured I'd shared my opinion. I believe worth spending the extra cash if you don't already have a lesser grade converter on hand. In that case, yeah I'd just use what I had. They all work, some just better than others. 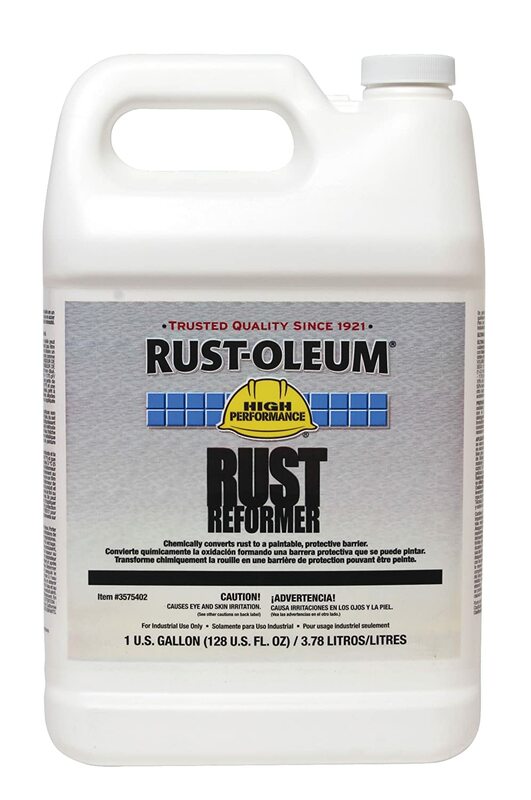 Rust Reformer is the absolute best rust converter I've tried. Guessing this one is probably easier to find than many of the others. It would be cool to set up a poll on here for items like this, adhesives, rivets...other consumables etc. Maybe something like that already exists & I just haven't seen it? You have to order it. Its not easy to find in the gallon and the spray can isn't the same stuff. Yep. To be fair the best performer in that test was a solution made with 10% tannic acid. But it has to be mixed and isn't a readily formulated product. I've used Rust Reformer on some serious rust and the stuff works. I'm also a big fan of Ospho but when the rust is serious that RR stuff is the best I've tried and its way cheaper than Por-15. Because there are a lot of fecophiliacs.